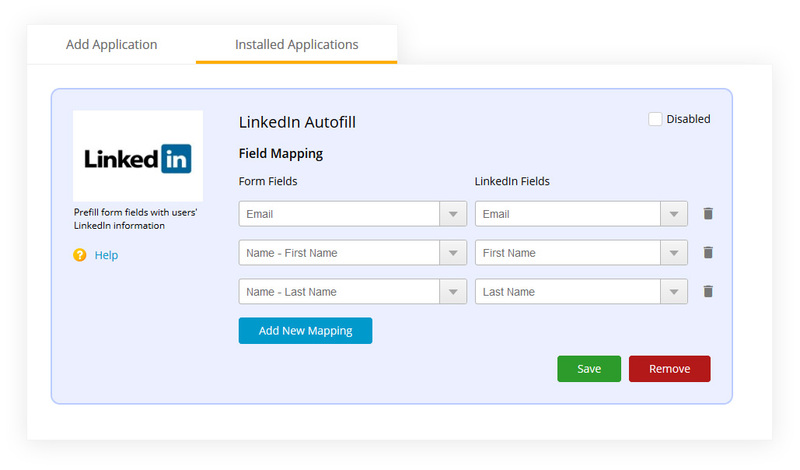 Improve leads and make it easy for your users to fill out forms with just a click by connecting LinkedIn to 123FormBuilder. …all without writing any code! 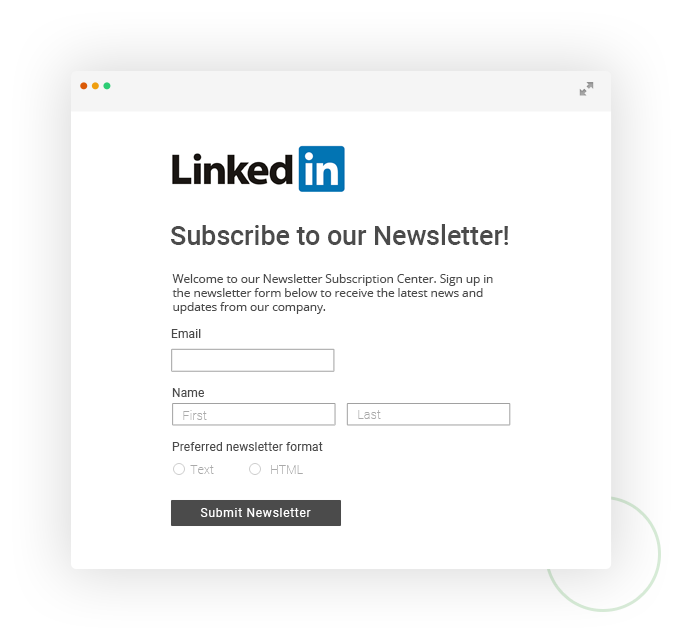 LinkedIn is the world&apos;s largest professional network with more than 562 million users in more than 200 countries and territories worldwide.